THE PERFECT EQUESTRIAN ESTATE! 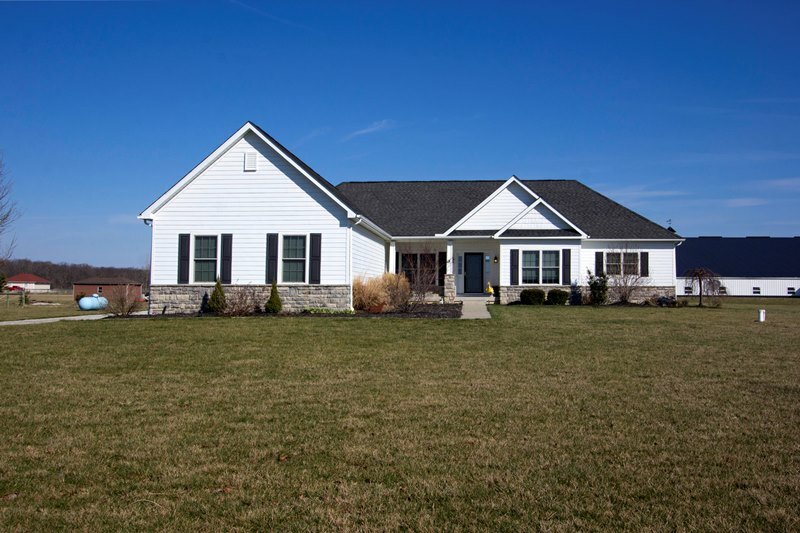 Gorgeous and very spacious Rambling Ranch home on over 10 acres and close to The Prairie Oak Bridle Trails. Over 3,500SF on 2 finished levels! Great Room has stone fireplace. Giant Kitchen with wrap around maple cabinets, walk-in pantry, granite counters and opens to a 4 Season Room. Master Suite has 2 walk-in closets and whirlpool bath. Finished basement has Recreation Room and ½ bath. Incredible horse barn has 6+ (12 X 12 stalls -room for many more), Office/Tack Room, Wash stall and 80 X 150 indoor sand arena. 3 paddocks with Electro Braid fencing. Perfect for the Horse Enthusiast or Trainer! 4 BRs, 2 Full and 2 Half Baths. Southwestern Schools. Only $629,900! Call DeLena today!